WE ARE LOOKING FOR RELIABLE AND COMMITTED LINE CHEFS WHO WANT TO START OR BUILD A CAREER WITH US. Previous experience is always an advantage but not essential. A desire to work in a busy, creative, dynamic kitchen is important. The Hub is our Flagship site in St Ives and will be having a brand new extension and new look. From £8.00 per hour​ depending on experience. The new look Hub will have 150 covers over 2 floors, an amazing bar serving craft beers, unique drinks and bespoke cocktails till late. 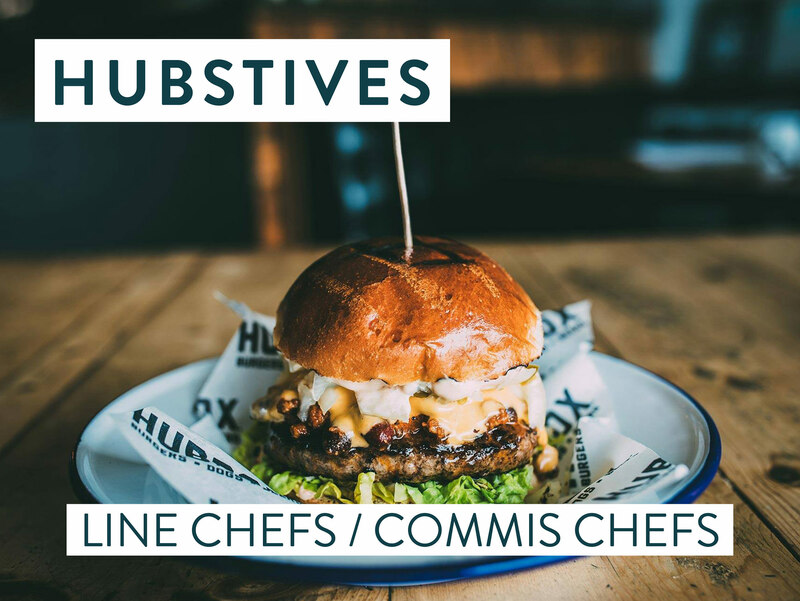 We are looking for someone to join us and work on Hubbox’ core values of great products, delivered by great people, in great locations. If you are interested in working with an award winning company and a friendly, fun and professional team who are passionate about good food and drink; we would be delighted to hear from you and look forward to receiving your CV, detailing your skills and experience. Our culture encourage’s development, supports learning and rewards those who exceed expectations. Great company incentives and rewards. Great rates of pay and flexible working hours. Share of Tips. Paid time to work within the local community and charities.